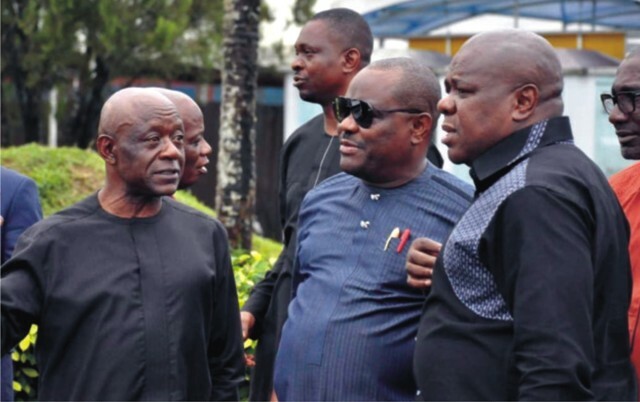 Rivers State Governor, Chief Nyesom Wike (2nd right), with former Deputy Speaker of the House of Representatives, Hon Austin Opara (right) and member representing Port Harcourt Federal Constituency 1, Hon Ken Chikere at the Port Harcourt International Airport, Omagwa, when Governor Wike received the remains of the State Late Attorney-General and Commissioner for Justice, Emmanuel Aguma (SAN), last Wednesday. 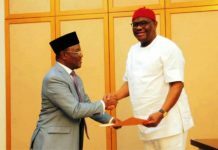 The Rivers State Governor, Chief Nyesom Wike last Wednesday received the remains of the Late Attorney-General and Commissioner for Justice, of Rivers State, Hon Emmanuel Aguma (SAN) at the Port Harcourt International Airport, Omagwa. 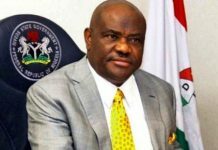 Wike received the remains of the late Attorney-General alongside the family of the late legal luminary. Also at the airport to witness the reception of the remains of the late Attorney-General were members of the National Assembly, Rivers State Executive Council, senior lawyers and friends of the departed Senior Advocate of Nigeria. 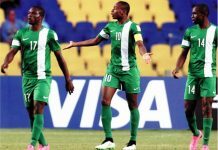 The Embrayer Legacy 650 Plane that conveyed the remains touched down at the Port Harcourt International Airport by 6 07pm. It was a brief and solemn ceremony as the remains were moved into a waiting ambulance. A prayer was said for the repose of the soul of the late Attorney-General by Venerable Fyneface Akah. 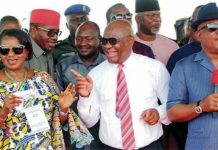 After the airport reception, the remains of the late Attorney-General were deposited at the mortuary of Braithwaite Memorial Specialist Hospital in Port Harcourt. The late Attorney-General and Commissioner for Justice would be buried between September 14 and 15, 2018. Meanwhile, the people of Old Rumuji Court Group and Isimbam Forum in Emohua Local Government Area of Rivers State have expressed their condolences and grief over the untimely death of the State Attorney General and Commissioner for Justice, Emmanuel Aguma, SAN. 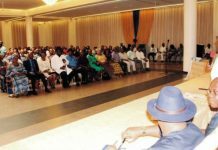 In a condolence message signed by the Chairman of Old Rumuji Court Group, Chief Wopuru Okparaolu and Chairman of Isimbam Forum, Barrister Solomon Eyidia, they described the late Aguma as a rare gem and a strong pillar in the administration of the NEW Rivers State, explaining that his contributions would be missed by all who love unity and progress of Rivers State.